Wash and chop the strawberries roughly. Pour into glasses and garnish with a slice of strawberry. If the strawberries are little tart , then increase the amount of dates. Wow, yummy milkshake..will try it sometime! strawberry milkshake looks yummy and delicious. Nice colour. Never tried with dates. Looks yumm. I have never tried strawberries and dates together. This milkshake looks yum! What a healthy drink!! Well done! 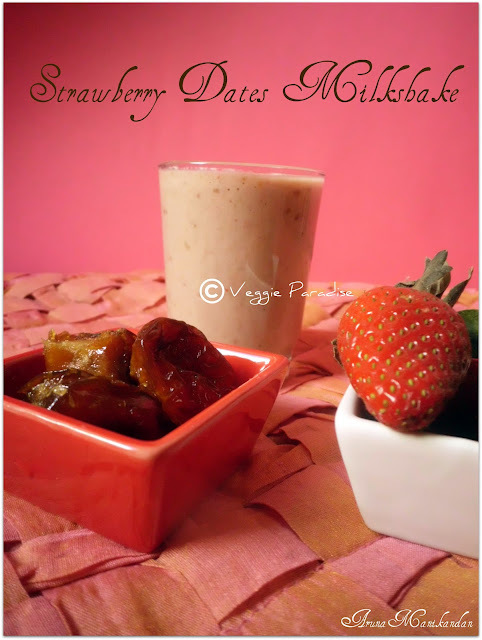 Strawberries and dates..Lovely combination and Cute clicks! Never tried this combo, looks so yumm.. It is without sugar. Its good the thou added dates to give the sugar effect. so yummy and delicious one...addition of dates will give more sweet n make its more yummy rt? yet to try this combo! Delicious combo milkshake with strawberry n dates aruna. Pics are inviting. yummy combo! !nice presentation and click dear! Strawberry milkshake looks so delicious. Beautiful combo of milkshake , looks so yum! Lovely presentation and tasty milkshake. Wow, gorgeous click and yummy recipe aruna! Never tried with dates....healthy drink..looks yumm. 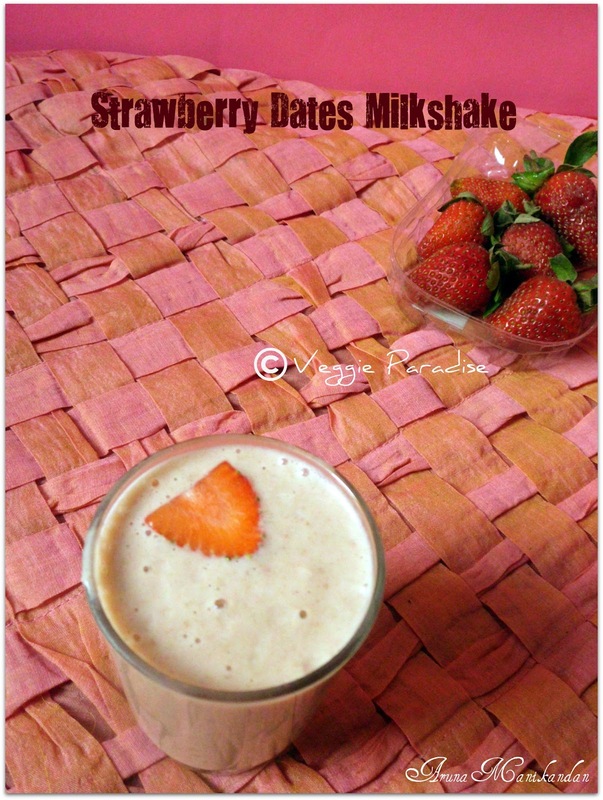 A simple and easy milkshake..
My son's fav smoothie..nice pics..
delicious combo for a milkshake :-)..strawberry with dates!